Parents want their kids to have all the best things in the world and they think if they can afford it, why not? In fact, many parents are tempted to give money to their children out of guilt. The guilt of not spending enough time with kids is compensated with money. Eventually, kids get adapted to a spendthrift lifestyle and sometimes resort to emotional blackmail if their demands are not met. Not to mention, the peer pressure building up on kids makes them a bit insensitive to the value of the hard earned money of their parents. Our present educational system does not include a curriculum on personal money management. So whatever our kids learn or observe about money matters, good or ?bad, is mostly at home. Parents need to be pro-active to teach their kids about the value of money, particularly in this age of consumerism. Here are some tips you can teach your kids. Offering a periodic allowance (weekly or monthly) is a prudent way to teach kids about finances. Through such payment, you will be introducing to your kids the concept of money management. Give them an allowance when you feel they are old enough to manage it. More importantly, how much allowance is to be given to the kids needs some thought too. This should preferably cover the bare minimum expenses like food, transport and probably clothing and entertainment once they grow a little bit older. They need to be clearly instructed that the allowance is meant for a stipulated period and cannot demand an extra amount for anything else. Initially, give your kids the liberty of decision-making about how to spend the allowance. Let them experience the impact of their decisions, good or bad. Resist the urge to offer them more money before the end of the period. It may take a while for children to understand that once the money is spent they cannot have anything else, but they will eventually learn. This approach would ensure they realize that some things are more important than others and that it is impossible to have everything. Once they start differentiating between their needs and wants, they will automatically become calculative and learn to prioritize for spending it. A shopping mall or grocery market could be the best real-life class room where your kids can learn about money. For starters, your kids can understand how the buy and sell transactions take place and the basic math behind them. This is likely to make their mental calculations sound. As the children grow up, they can be involved in the shopping. Remember, you would have to set a good example for them. This can start by involving them in preparation of the shopping list to budgeting. This exercise would aid them in decision making, bargaining and sticking to a budget. They are likely to avoid impulse shopping which they would realize can throw budgets out of gear. The children can be rewarded with the money saved and this would act as a motivation for them in future dealings. Make your kids realize the future benefit of saving. Gift your kids a piggy bank which will park the saved money. 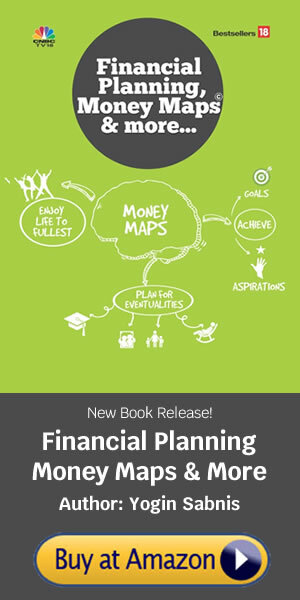 This is one of the most conventional and time-tested tool to teach kids about money management. The money saved can come from allowance or the money saved from shopping or cash given by relatives on certain occasions. Teach them to put the accumulated savings in a bank account which would avoid the temptation of impulse spending. It would also teach them the concept of money earning money in the bank instead of keeping it idle. Encourage kids to define their big-ticket goals like purchase of a bicycle or some electronic gadget. They can set aside a portion of their saved money to eventually meet the goal. However, children should be made to understand the importance of savings not only for meeting goals but also for saving for a rainy day. The highest use of capital is not to make more money but to make money do more for the betterment of life. The best way kids can learn about the value of money is when they experience the joy of giving. Charity can begin at home. You can encourage your kids to donate their old clothes and toys to your maid’s children. One of the best occasions is their birthdays. You may make it a yearly ritual to take them to visit NGOs and encourage them to donate in cash or kind to the less privileged children. During summer vacations, you may encourage your kids to join a NGO for volunteering. Such activities are likely to sensitize your children towards the less unfortunate. They would also be able to cope with peer pressure better when it comes to spending and not squander away hard earned money. Open a bank account for them. Give them the liberty to operate it, visit the branch, interact with banking people, etc. This is likely to ensure that your kids not only become savvy about the basic retail transactions but gradually become aware of the various investment options right from a young age. We always tell our kids about the struggle we went through to reach a secured stage in life. While kids understand this, they will not really realize this fact unless they themselves go through the hardship in the practical world. Even peanuts earned on their own would make kids realize the value of money more than anything else in the world. Encourage and help your kids to put up stalls in school exhibitions/fairs and get involved in buying selling transactions. Your kids would be thoughtful enough to spend the small profits earned out of such ventures. Such activities also instill the entrepreneurial spark in your kids right from a young age. The period between 18-24 is a golden period for children as they lay a strong foundation for their long term career. Encourage them to do part time jobs in their college days and teach them to invest the money. They are likely to inculcate this habit even after having a regular job. Further, temporary jobs would help them figure out their strengths and weaknesses and help them define their long term career goals. It also aids in their overall personality development and makes them street smart. By teaching your kids about money management, you will be sowing the seeds of a good value system early on in their life. One of the best ways to teach is by example. Practice what you preach as children tend to emulate their parents on spending habits at home. As Warren Buffet pronounced – You should leave enough for your kids so that they can do something, but not so much that they have to do nothing.